The 2.6% pay increase for active-duty service members went into effect January 1, 2019. This increase was approved in the FY 2019 Defense Budget and is the largest approved annual pay raise since 2010. Below are military pay charts for active duty service members for the past 12 years, including the current 2019 Military Pay Chart (PDF). Military base pay is determined by three main factors: military rank, pay grade, and years of service. On a military pay chart, rank is listed by letter and pay grade by number. Commissioned Officers are marked as O-1 to O-10, Warrant Officers as W-01 to W-05, and Enlisted Officers as E-1 to E-10. Basic pay is only part of your military income. You are also given allowances for necessities like housing, childcare, and clothing. Some allowances are tax exempt as well, which stretches you paycheck further. For additional information, contact the US Department of Veteran Affairs offices at (844) 698-2311. 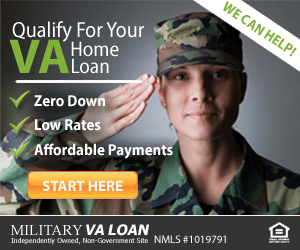 Why does your pay matter for VA home loans? 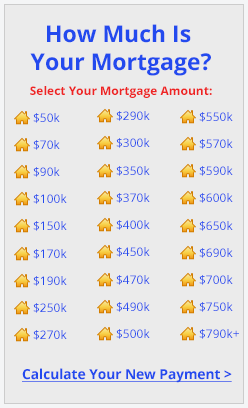 Your income directly impacts the amount of money you can take out for a loan — lenders compare your income to your potential mortgage, plus your other debts (car payments, student loans, etc.) The benchmark debt-to-income (DTI) ratio lenders use is 41 percent. For example, an annual salary of $60,000 equals $5,000 per month in gross income. After applying the DTI ratio, that leaves $2,050 for monthly housing costs, including principal, interest, taxes, and homeowner’s insurance. But, if you have a $500 car payment, then your monthly maximum housing cost decreases to $1550. You must meet VA loan income requirements in order to be eligible for a VA loan. Lenders need to verify that each borrower has adequate income to repay the mortgage. The two factors lenders need to verify — amount of income and likelihood of continuance like your work history.